Rotary trimmer is ideal for a variety of office functions as well as school, arts and crafts projects. 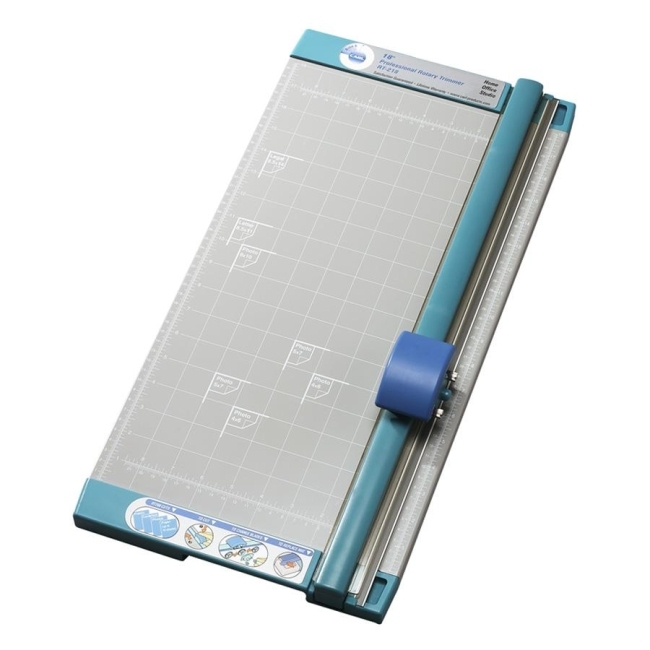 Patented Carl rails and premium carbide blades hold paper and paperboards firmly in place and cut more precisely. Trimmer has a sturdy metal calibrated base for accuracy and added stability. Blade cuts up to 10 sheets of standard copy paper. Use optional B-Series blades (sold separately) for 11 different cutting patterns.